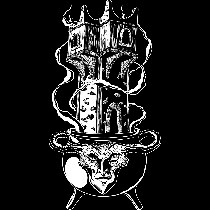 Buy Cauldron & Tower a Coffee. ko-fi.com/cauldronntower - Ko-fi ❤️ Where creators get paid by fans, with a 'Buy Me a Coffee' button. A small writing collective creating the type of Dungeons & Dragons adventures they want to see, from the imaginations of @OnlyPlayWizards & @ARye927 Currently working on "Wolf Lord of Yol," the first of a trilogy to be released on the DMs Guild. Secured Payments. Support goes to Cauldron & Tower's account. Upgrade Cauldron & Tower to a yearly Gold Membership with a one-time payment.